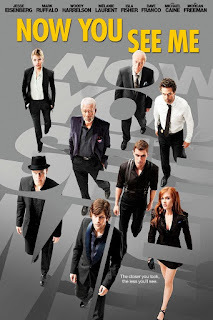 A different approach to heist movies from legendary French film director, Jean-Luc Godard. Godard is considered as one of the most influential and greatest director alive according to many sources, often the greatest. French New Wave`s most celebrated director offers a much deeper social look on the topic. Slow in the pace, sophisticated in the character study, it isn`t for everybody although it is considered one of the most notable movies of Godard. To be honest, it wasn`t for me, although I am very into World Cinema and sophisticated movies, more than pop-culture movies actually. 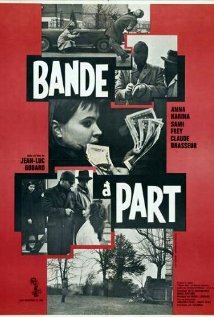 'Bande à part' was rated No 79 in Empire magazine's "The 100 Best Films of World Cinema". As a Tarantino fan, I found it very interesting that Tarantino named his production company (A Band Apart) after this move.